If you have the following error “client is not validated to perform the requested operation” during restore, then you need to grant permission for the alternate client to access images other than it’s own. 1. 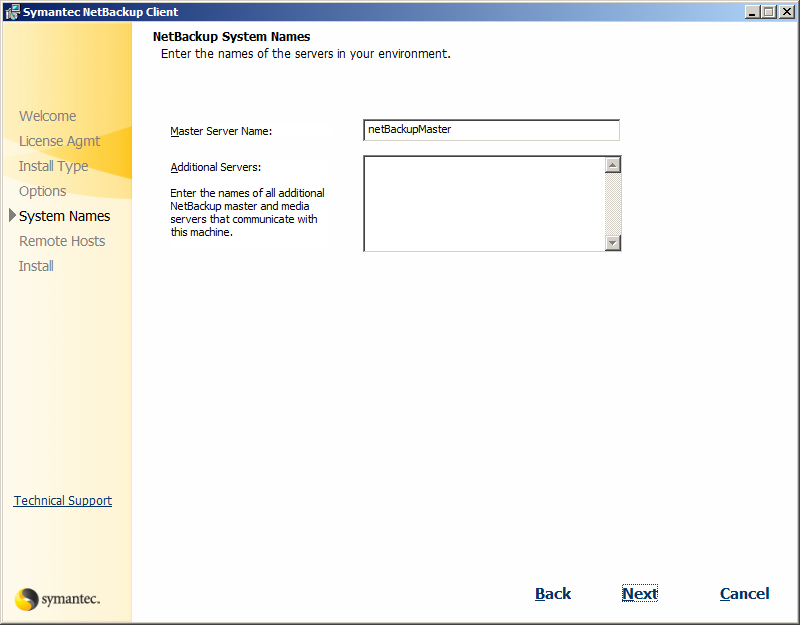 Create a folder <Netbackup install path>\NetBackup\db\altnames. 3. To grant one specified client a permission to browse and restore backups made by another client, create a file with the same name as the requesting client(with no extension like .txt) and write the name of the source client into the file. Question: What ports are needed for netbackup 7.0 client? Today we will discuss how to backup SQL Server 2008 using Symantec Netbackup. It is assumed that Netbackup Server is installed and you already have set up connection between Master and Media servers. If it is so, let’s start. First of all, you should install Netbackup Client on the server where SQL database is located. Let’s stop here! and add more actions before we do this. Master server ip and hostname . Also you should have already opened connection between client server and master server (bidirectional TCP port 13724). Click Yes –> Then Install-> Finish. 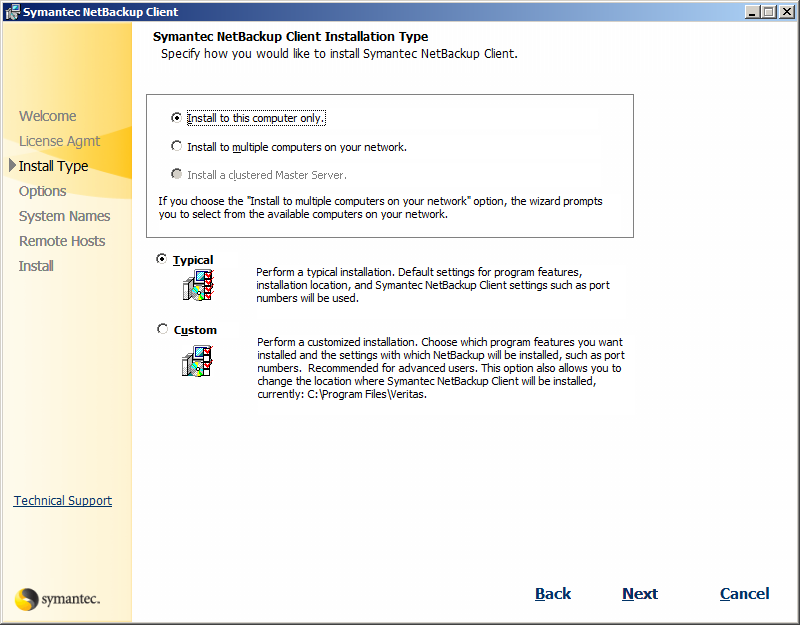 * Open NetBackup MS SQL Client (Start->All Programs->Symantec NetBackup->NetBackup Agents). * Fill the section Userid and Passwod for SQL Server Standard or Mixed Security with the correct credentials. ** click Backup, save the .bch file in your desired location. Enter the ip address of the client, where SQL Server is installed. In the Client Properties window go to the section Servers –> Click first Add button and enter master server name(for me it will be netBackupMaster) , select entry in Additional servers and click Make Master. After this you should see in Master Server and Additional server text boxes the name of the master you entered now. In the section Client Name check if the value is correct. Click OK.
Do Manual Backup to test it . In addition, create folder dbclient in C:\Program Files\Veritas\NetBackup\logs\ for troubleshooting purposes. There will be located log files, which is very useful for problem solving with Netbackup.